–Satto, "Like Seeds on the Wind"
The code of Bushidō is essential to the life of a samurai in the Emerald Empire. Every samurai acts in line with the core tenets of the Bushidō philosophy, and many would neverdream of straying from the path. However, there is a new philosophy growing among the peasants—one that sees a different path to enlightenment. The Perfect Land Sect is less concerned with honor, and more concerned with doing what’s right. But their belief comes at a cost. The Phoenix have already outlawed the sect in their lands, and the Dragon aren’t far behind. But who are the Rokugani behind the Perfect Land Sect, and what do they hope to achieve? Fantasy Flight Games is proud to present “Like Seeds on the Wind” by Marie Brennan, a new piece of fiction set in the world of Legend of the Five Rings! “Like Seeds on the Wind” focuses on the Perfect Land Sect, is intended be read as a standalone story, and can be found here (6.4 MB). Keep your eye on the Fantasy Flight Games website for additional information on Legend of the Five Rings: The Card Game, Legend of the Five Rings Roleplaying, and more! 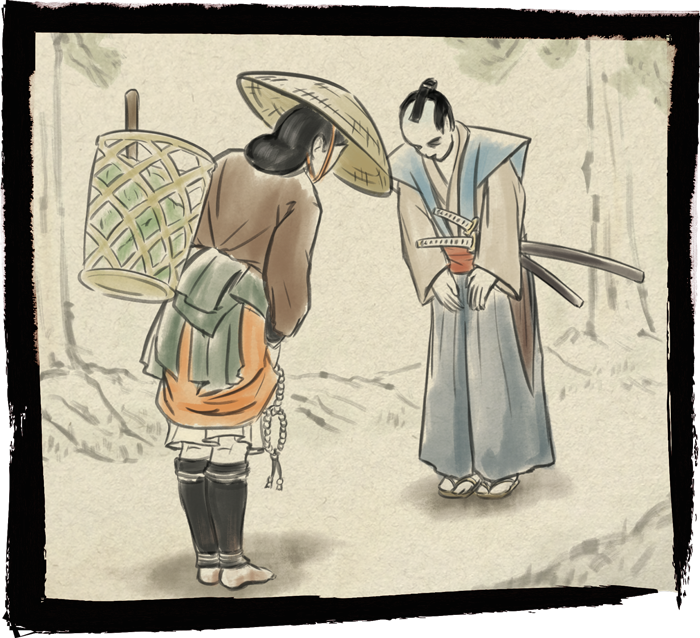 Will you adhere to the tenets of Bushidō, or follow the path of the Perfect Land Sect?